Spanning the Golden Horn, Istanbul’s iconic Galata Bridge is a top spot for fishing. Locals, especially men, like to come here to fish for fun and sometimes to earn money. 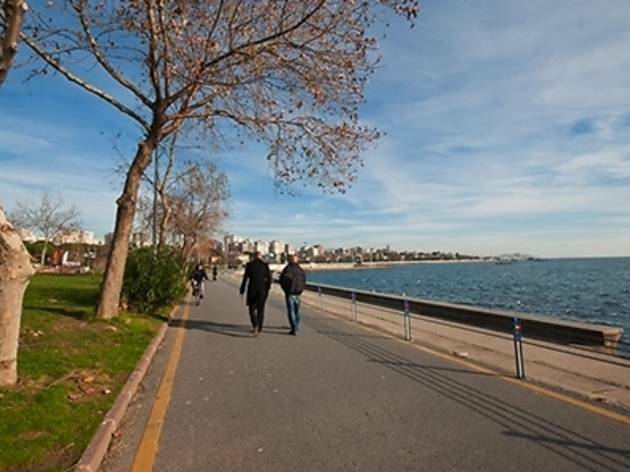 Yeldeğirmeni is a historical part of Kadıköy with plenty to offer. Many elderly Turkish citizens have lived here from birth. It’s relatively inexpensive, there are lots of things to see and do and it’s home to a bunch of art studios. Ferries are the most popular form of public transport in Istanbul for one simple reason – if you’re a local, you’re always in a hurry except when you’re on a ferry travelling from one side of the city to the other. You have around 20 minutes to enjoy amazing views of the Bosphorus over a cup of Turkish tea. 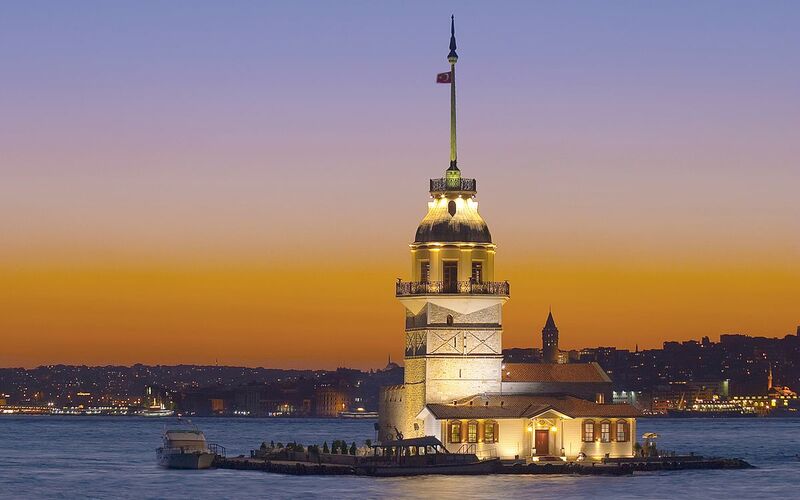 It’s in an old secret building and offers you one of the best sightseeing places of Istanbul on a rooftop. On a cold weather, I am not sure if it is gonna be as nice as it is on a clear day. You should ask locals about how to get there as it is not easy to find. It is closer to Grand Bazaar so if you are around, do not skip it. Enjoy a tasty dinner and a traditional Turkish show with live music and belly dancers while cruising along the Bosphorus. Orient Bosphorus is a sophisticated choice for an unforgettable evening of entertainment in Istanbul. Named after the well-known French novelist Pierre Loti, this hill offers perfect views of the Golden Horn. It’s also home to a famous café that bears the same name. Loti lived in Istanbul for many years and was a big fan of the city. 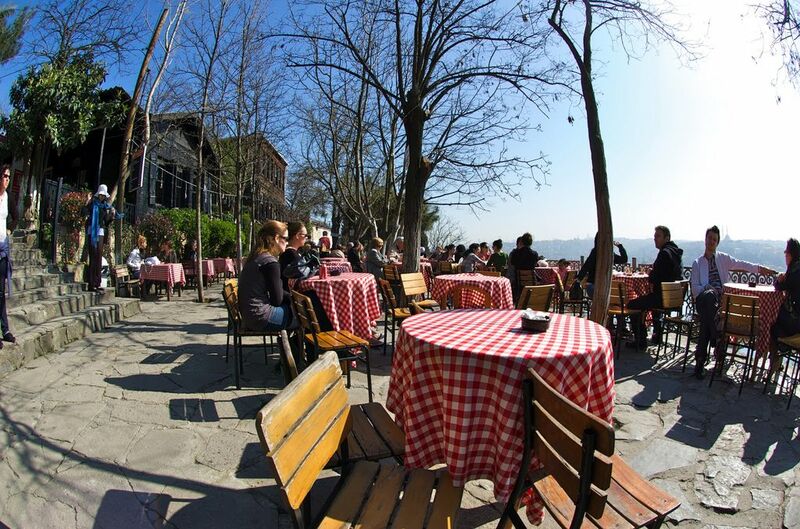 The café is a meeting point for lovers and couples, and has featured in many Turkish romance films. Named after the Ottoman commander Emir Mirgunoglu in the 17th century, this gorgeous park has a long and extravagant history. It’s mostly known for its three pavilions previously used by royalty for short stays. The pavilions were constructed from 1871–1878. When the weather is warm, locals like to hang out here in the evenings. We either play sports or just relax on the grass with friends, enjoying a few drinks and pretty views of the Princes’ Islands. This lovely park is located in Beşiktaş right in the heart of Istanbul. With old Ottoman houses, scenic paths, flowers, duck ponds and tree-covered hills, it’s a picturesque place for a relaxing picnic. Tellalzade Street, also known as “’Kadıköy Antique Shops Street”, is a precious gem for antique enthusiasts. It’s also home to an abundance of second-hand shops and a couple of stores selling old records. You can smell the history in the air! According to a popular Turkish legend, the Byzantine king imprisoned his daughter here after an oracle prophesised that she would die of a venemous snakebite on her 18th birthday. When the day finally came, her overjoyed father brought her a basket of fruit as a gift, but unbeknownst to him, the killer snake was hiding inside. It’s the best historical place in Istanbul where the Roman mosaics and frescos are very well preserved. 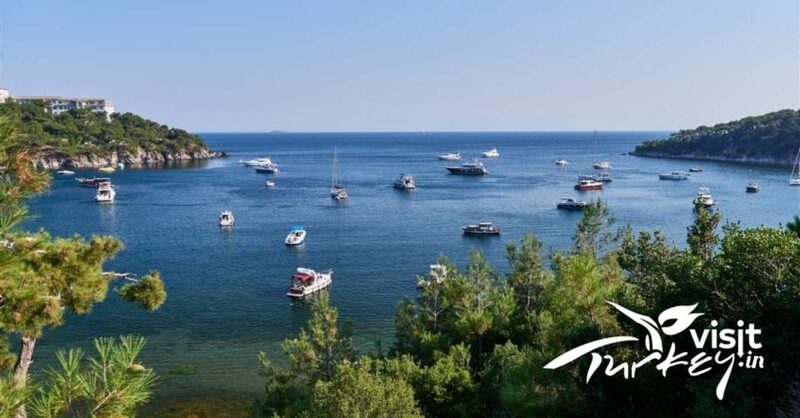 Besides Kariye museum’s location is in the middle of a hidden paradise. 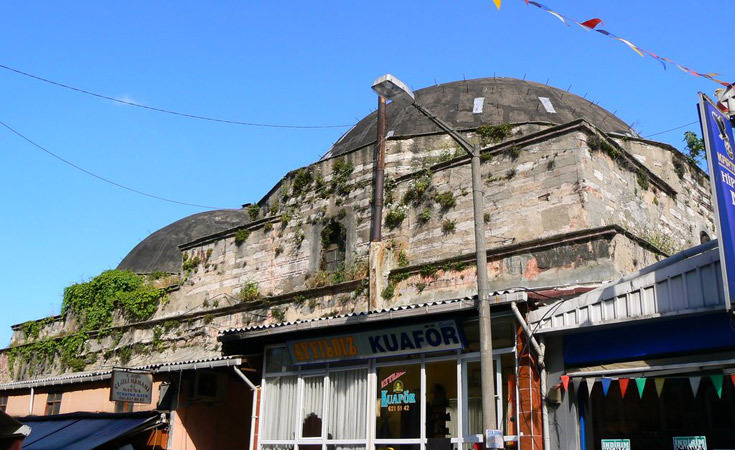 It’s close to Roman city walls, martyrdom and Mihrimah mosque by Architect Sinan. This museum has many unique pieces about the history of Military of Turkic and of other countries as well. Visitors can learn lots of information about history, military’s effect on politics, weapons from all over the world and military tactics. Located between Hagia Sofia and Topkapı Palace, this narrow tree-lined street is known for its historical houses. Walking along Soğukçeşme (“Cold Fountain”) past Ottoman-era residences is like taking a step back in time. The Bosphorus shore on the Asian side of Istanbul is generally much calmer than the European one. Çengelköy is a particularly inspiring place for landscape painters. There’s also a local teahouse called Çınaraltı Çay Bahçesi right by the sea. It’s a really popular breakfast spot, especially on weekends. 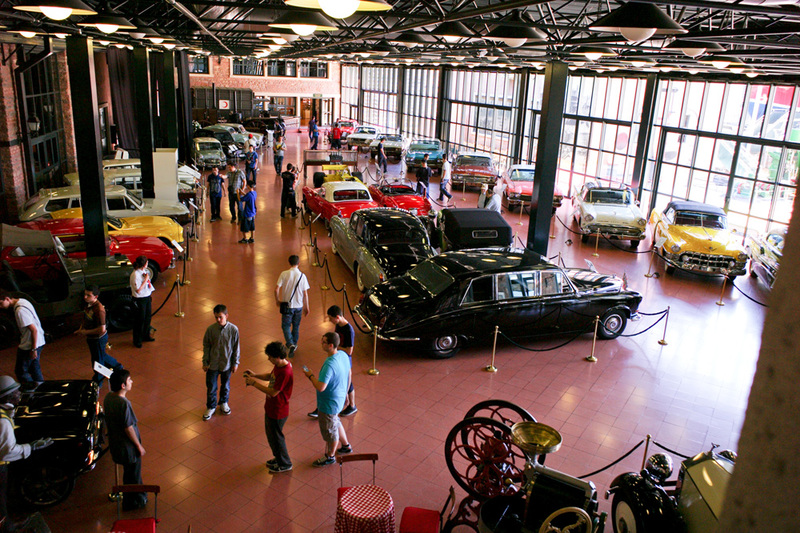 This glorious museum is dedicated to the history of transport, industry and communications. 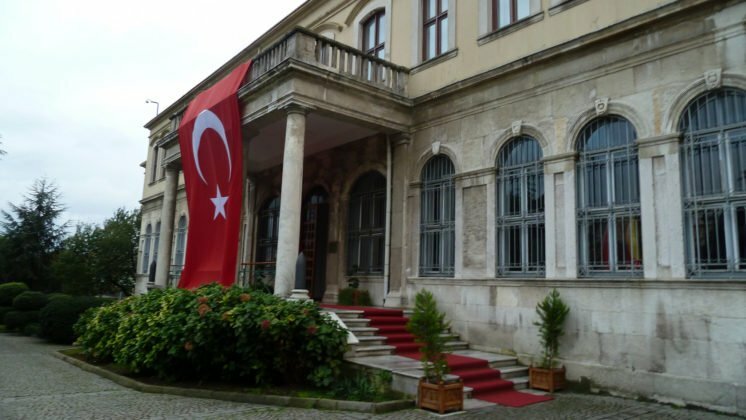 It houses a fantastic collection of objects highlighting Turkey’s industrial past. Steam baths, bubble massages and relaxing on heated marble stones – what’s not to love? During Ottoman times, “hamams” (Turkish baths) were places where people gathered and socialised. Even today, Turkish people, especially the older generations, love visiting hamams together with family and friends. This open-air park contains 126 miniature replicas of historic Turkish monuments. 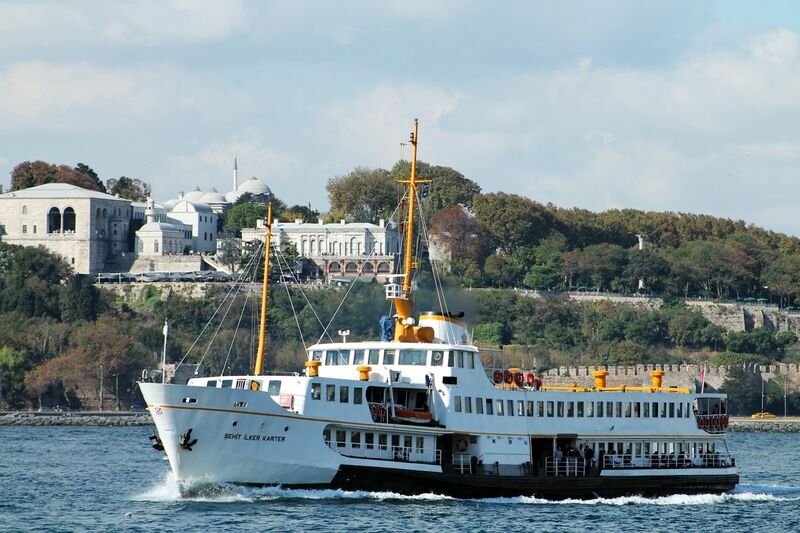 It’s a great place for families as well as for those who don’t have time to see all of Istanbul’s famous sites. This place is relatively unknown, even amongst locals. Zülfaris Synagogue dates back to 1671, but was closed in 1985 due to lack of community support. These days it functions as a Jewish museum. 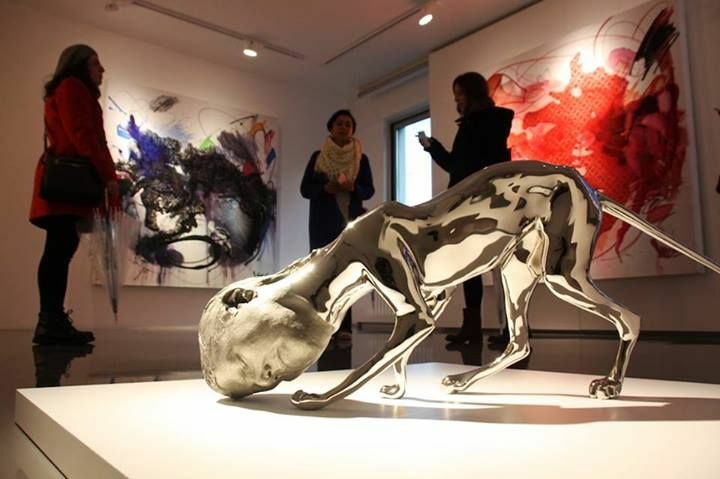 Join a three-hour Artwalk Istanbul tour and see another face of the city. A professional local guide will lead you to some of Istanbul’s most interesting art spaces including galleries, institutes and museums. Locals go to Anadolu Kavağı to visit Yoros Castle and to eat at the restaurants surrounding the pier. The castle offers fabulous views of the Bosphorus and Yuşa Tepesi (Joshua’s Hill), which is a shrine that attracts many pilgrims. 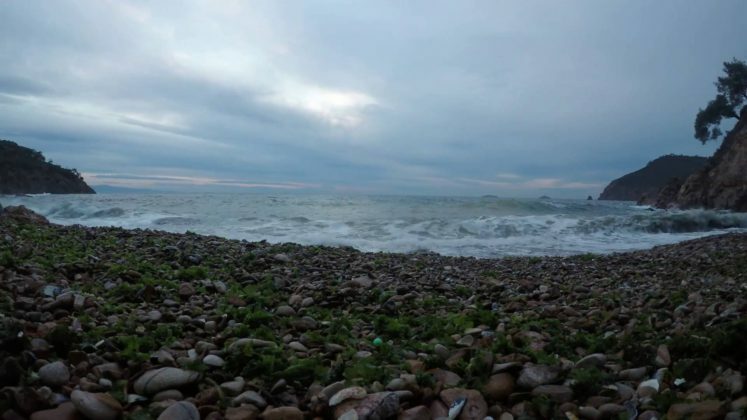 You can even see where the Black Sea and the Marmara Sea meet. The museum is in the campus of Bilgi University which is located in the coast of Haliç. You will have fun while you are making electricity experiments in the Energy Museum downstairs and you will be fascinated by the components of old Power Plant. This is a great place to escape the crowds and enjoy a bit of peace and quiet. Locals come here to swim in the bay, relax and simply feel the island breeze on their faces. It’s the perfect getaway!